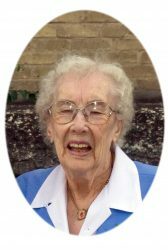 Ardagh: Alice June (Hunt) passed away peacefully at the Hartney Community Health Centre on December 25, 2018 at the age of 95 years. Alice was predeceased by her husband Bill Ardagh, daughter June, parents Robert and Jessie Hunt, brothers George and Ernie, sister Gwen and half brothers Frank, Arthur and Robert. 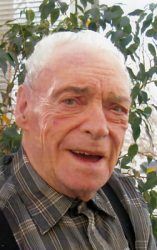 June 24, 1931-June 20, 2017 Colin George Atkins was born in Leeds, Yorkshire, England to Harry and Helena Atkins. At age 11, Colin began attending Leeds Grammar School, a boarding school for boys. During WW11, the students were moved out to the countryside to keep them safe from bombing. Between the ages of 18 and 20, he served with the British army. At the age of 20 he immigrated to Canada. He would spend his first year in Toronto and later move on to Vancouver. Ardagh, Violet (Vi), 87 years, beloved wife of the late Fred Ardagh, mother of Gail, Karen, Linda and Vicky, passed away at the Fairview Home Brandon, Manitoba on Sunday, March 27, 2016. 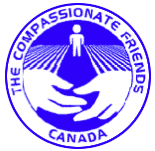 Funeral service was held at the Centennial Centre, Hartney, Manitoba on Friday, April 1, 2016 at 2:00 p.m. Private interment in the Riverside Cemetery, Hartney, Manitoba. In memory of Vi, donations may be to the Parkinson Society, Alzheimer Society or a charity of your choice. 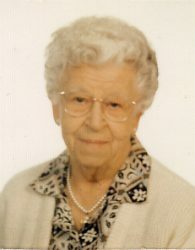 Born in Maryfield Saskatchewan on September 22, 1916 to Frederick and Ruth Ford. 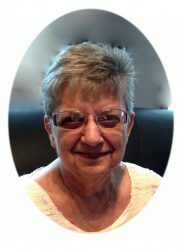 Adair — Nadia, beloved wife of the late Donald Adair, mother of Georganne Bisson and Susan Heuchert, passed away at the Souris Health Centre on Monday, August 18, 2014 at the age of 80 years. Funeral service was held at Kowalchuk’s Funeral Chapel, Souris, on Saturday, August 23, 2014 at 11:00 a.m. In memory of Nadia, donations may be made to Cancer Care Manitoba.